If you haven't/ aren't in already, make sure you visit the racenet league page ( https://www.dirtgame.com/us/leagues/league/66869/the-dsrl-rc ) and submit a request to join the league in order to access to the championship stages in game. 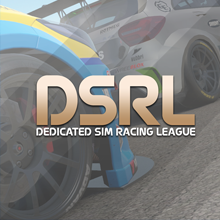 Welcome to the DSRL, GTR Technical! Registration withdrawn. I haven't been in the seat much since breaking my heel, in May. Not nearly enough to battle through 8 stages of madness. Have fun, go fast, and take chances. Ok Rebel no problem, Hope you're heel gets better ASAP!